Butterfly iQ handheld whole-body ultrasound system. Amazon EFS just works, so we can concentrate on building models that drive better patient care. Butterfly Network created one of the first handheld whole-body ultrasound systems. With a starting price under $2,000 and a cloud-based, intelligent data and analytics platform, Butterfly iQ is designed to make medical imaging universally accessible and affordable. Butterfly iQ is one of the first handheld whole-body ultrasound systems. By making medical imaging universally accessible and affordable, Butterfly is democratizing healthcare. Ultrasound technology plays an essential role in every human health condition. With Butterfly iQ, the collective intelligence of the global medical community can reach even the most remote places on earth, ushering in a new era of healthcare. 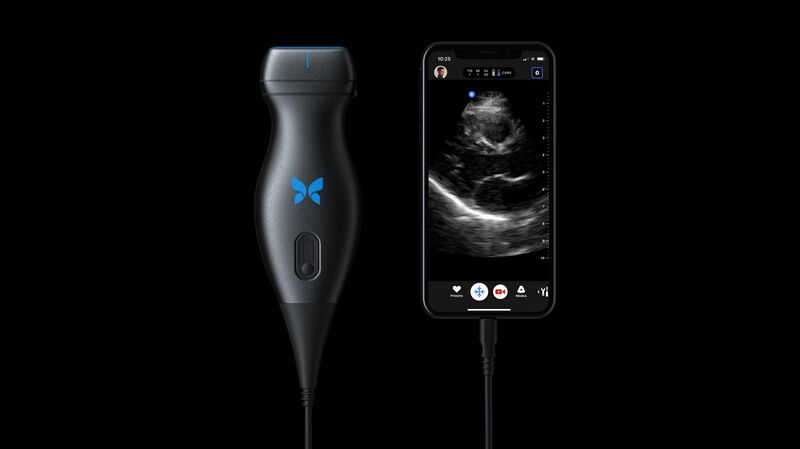 Butterfly has reinvented ultrasound from the ground up. Powered by a single silicon chip on a handheld, smartphone-connected device, Butterfly provides a personalized experience for healthcare providers at a drastically lower cost—starting under $2,000. Butterfly iQ offers ease of use, leveraging artificial intelligence for an intuitive ultrasound experience. With an integrated software platform, Butterfly provides a seamless connection for professionals to collaborate across the hospital or around the world. Starting with Amazon Elastic Compute Cloud (Amazon EC2), Amazon Simple Storage Service (Amazon S3), and Amazon Relational Database Service (Amazon RDS), the company has expanded its use of AWS technology to create richer clinical tools and pursue advanced data science approaches. Developing these guided ultrasound experiences using machine learning takes a lot of data and computing horsepower. The data science team at Butterfly Network uses a high-performance computing (HPC) stack built on AWS, comprising Amazon EC2 instances for processing, Amazon RDS for data structure and querying, Amazon S3 for object storage, and Amazon’s open-source CfnCluster solution that enables rapid deployment of HPC clusters on AWS. 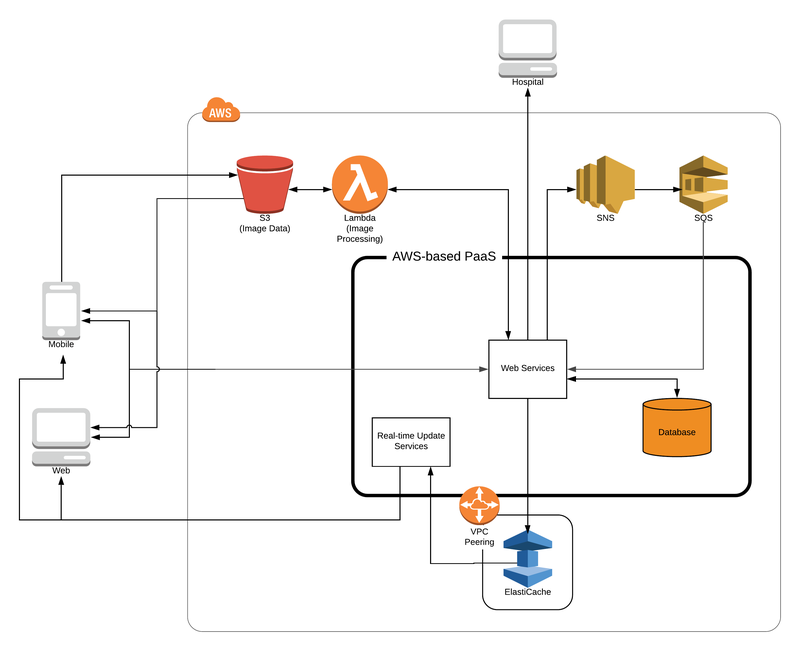 One of the key AWS technologies the team uses for its data science efforts is Amazon Elastic File System (Amazon EFS). Amazon EFS provides massively parallel shared file system access to thousands of Amazon EC2 instances, enabling applications to achieve high levels of aggregate throughput and IOPS that scale as a file system grows. It offers consistent low latencies and compatibility with the Network File System protocol. Because its solution handles protected health information, Butterfly Network must comply with the Health Information Portability and Accountability Act (HIPAA). This is another reason the company chose the AWS Cloud: many AWS services are HIPAA-eligible. Because these services are designed to help customers meet HIPAA requirements out of the box, Butterfly Network greatly reduced the complexity of building an architecture that was compliant with HIPAA regulations. Learn more about Amazon Elastic File System.